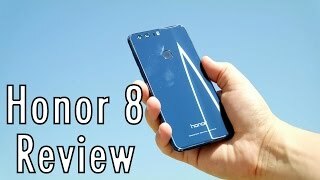 The Huawei Honor 8 has been appearing online for quite a while now in leaks and rumors and now we have some more info about what to expect from the device thanks to Huawei’s teaser and China’s TENAA regulatory agency. The smartphone maker managed to surprise us with the Huawei Nexus 6P and Honor, which is Huawei’s sub-brand is also popular for making some great smartphones. 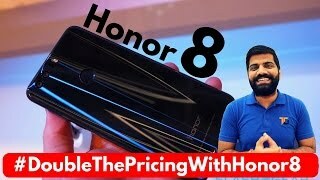 However, before we get into more details, let’s take a look at the Huawei Honor 8 Dubai price first. It’s expected to be around 1400 to AED 1600 when it’s here. Now let’s see if it will be a good idea to wait for the Huawei Honor 8 release date UAE or not. While Huawei is promoting this device as “beauty out of the ordinary”, there is nothing surprising here. The back is quite unique as there is nothing there and it looks too simple. Everything about this phone looks really simple and there is nothing shiny or flashy to look forward to. It’s different than the design of the Huawei Honor 7. The side of this phone might remind you of the Samsung Galaxy S6 or HTC 10 if you are familiar with the designs of those two phones. There are no home buttons on the front side and the 2.5D glass is easy to seen. The 5.2-inch screen will be showing Full HD or 1080p resolution when it’s here. We don’t know about the number of colors it will be available in yet, so we have to wait for the Huawei Honor 8 release date UAE to find out. Inside the phone, you get a Huawei Kirin 950 octa-core processor. There are two different RAM options to choose from, 3GB of RAM and 4GB of RAM with different storage options like 32GB, 64GB and 128GB. The phone will be running Android Marshmallow out of the box and these specs should be more than enough to give users a smooth Android experience. It will be powered by a 2900mAh battery. Considering the specs, it would’ve been better to pack a bigger battery. If you are looking for phones with high-end specs, there is the Samsung Galaxy S7 and iPhone 6S you can check out. These are not really in the same pricing range as the Huawei Honor 8 Dubai price but these are the best smartphones available at the moment. Another major feature of this upcoming phone is its dual 12-megapixel camera. It’s nicely placed in the back and are not too visible. The front camera is also a good 8-megapixel one. There is a fingerprint sensor on the back of the phone which is quite visible. Most of the phones are now switching to USB Type-C which is the same with the Huawei Honor 8. These specs are mostly based on the leaked specs and rumors so we have to wait for an official announcement or Huawei Honor 8 release date UAE to confirm these things. From what we have learned so far, the phone is expected to show up sometimes in July, 2016. 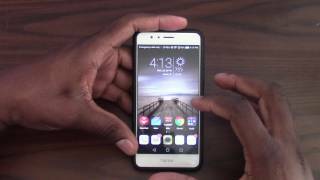 If you are satisfied with the Huawei Honor 8 Dubai price, it will be a good idea to wait for it and see what the phone has to offer. 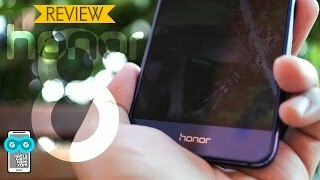 Huawei Honor 8 REVISIT in 8 Mins! STILL WORTH IT in 2017? Price has decreased 39% from AED 1599 on 2016-09-04 to AED 969 today.